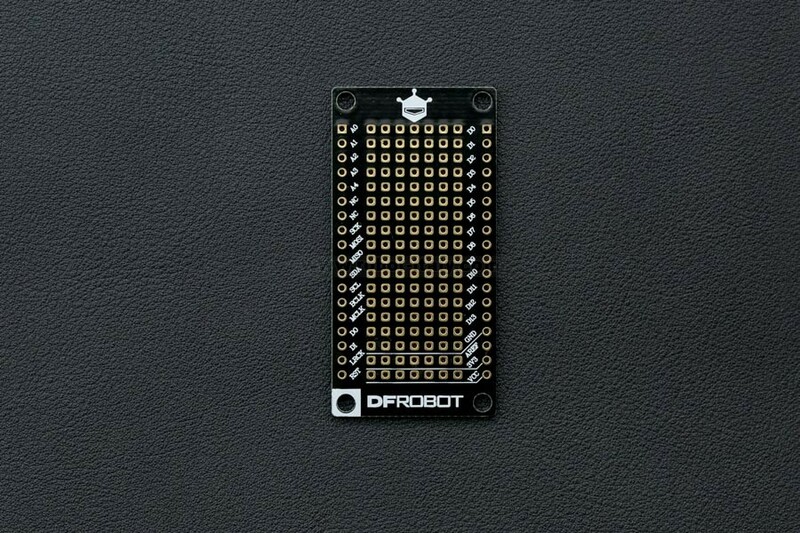 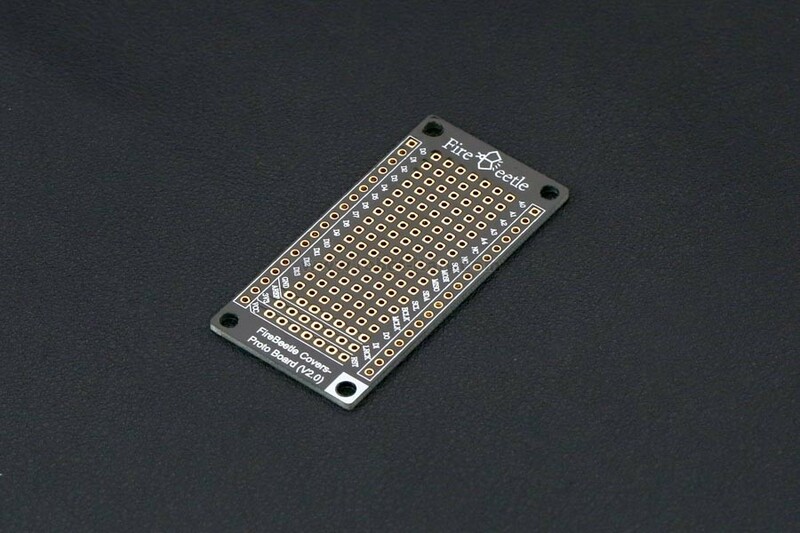 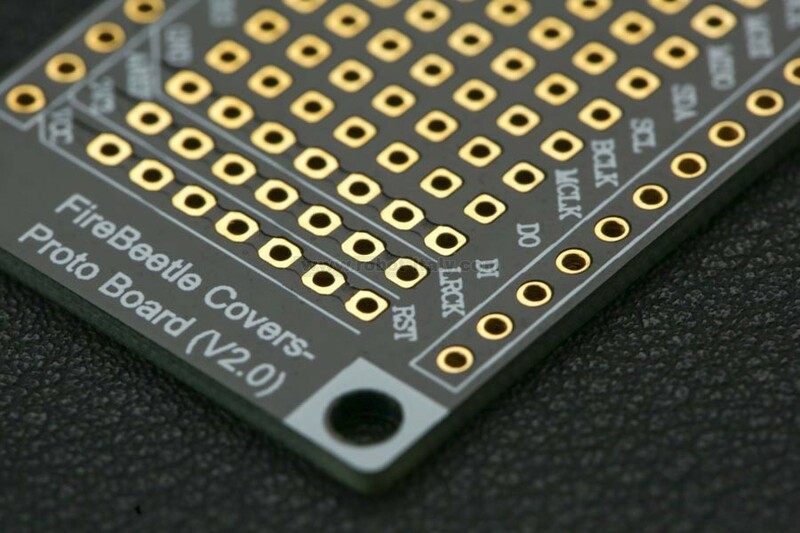 Proto Board is compatible with products of FireBeetle series. 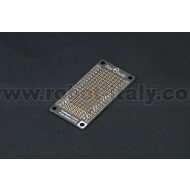 There are 14×7 general 2.54mm solder holes in the board of standard spacing. 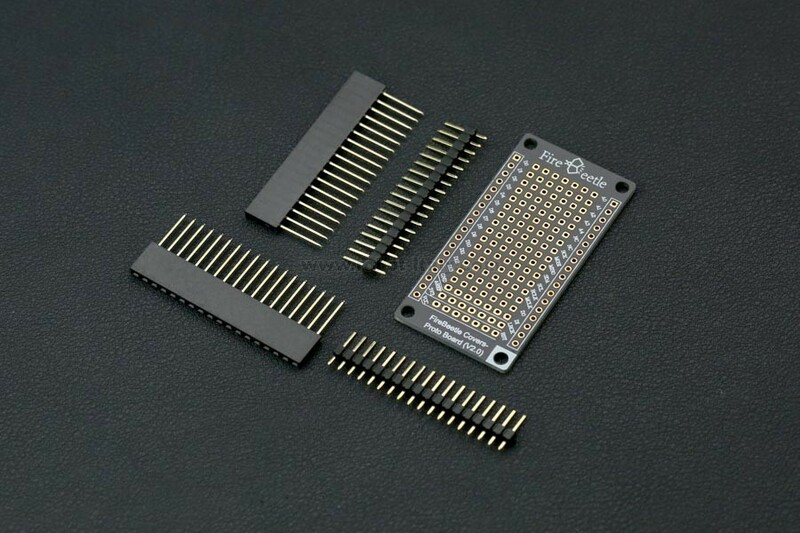 The prototyping boards connect to one master board with VCC, 3.3V and GND soldering pads.